Smoked foods with the modern twist of electricity! 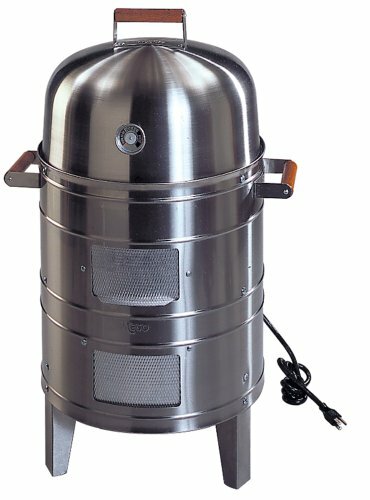 The Meco Americana Double-Grid Electric Water Smoker is sure to give you the same great tasting smoked meats as the ordinary smoker! 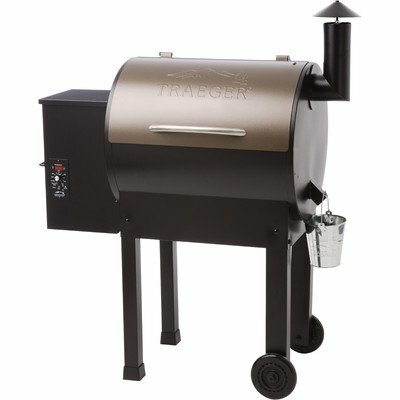 This unit features a stainless steel hood and body, two nickel-plated cooking grids with handles for two-level cooking, and 351 square inches of usable cooking surfaces. There is a porcelainized, 5.5 quart water pan, and heat-resistant wooden side and hood handles. The sliding access doors are great for checking and adding to the water and wood chip levels. 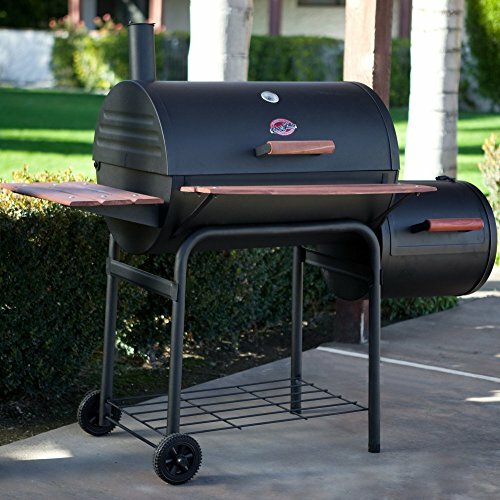 You’ll love the handy, built-in temperature gauge and the flavor channels that direct smoke for maximum food flavoring and add structural strength to the smoker. The heavy-duty reinforced steel legs also add extra strength and durability, and the UL-listed, 1500-watt heating element plugs into standard household outlets. For over 45 years, Meco has created quality products used in homes across America. From folding table-and-chair sets for indoor or outdoor use to grills and more, you can trust Meco to deliver. 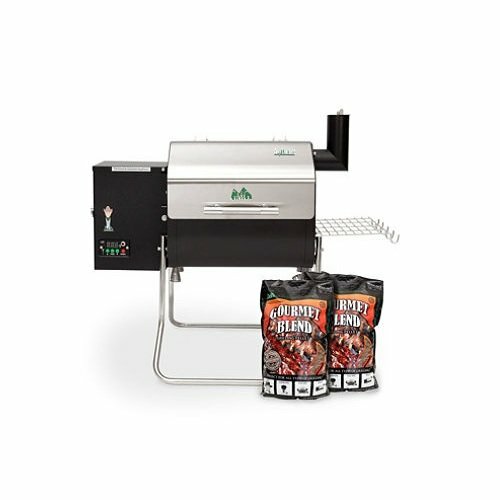 Meco grill products use a standard 120-volt outlet and can be plugged in nearly anywhere. 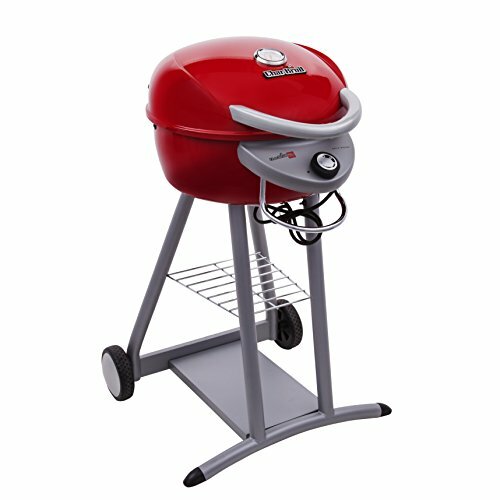 Perfect for condos, apartments, and much more, Meco electric grills are a smart, convenient choice. The company is based in Greenville, Tenn., and continues to develop quality products for the home. Stainless steel hood and body. Two nickel-plated cooking grids with handles. 351 sq. in. of cooking surface. Built-in temperature gauge. Dimensions: 21.25L x 17W x 34.25H inches.